Dentures are known by different names i.e. dental prosthesis, false teeth and dental plates. The most common reasons that patients acquire complete (full) dentures are gum disease and tooth decay. 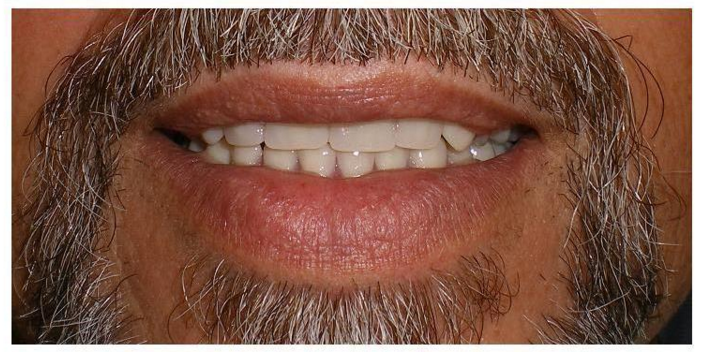 Complete dentures can be conventional, immediate or implant retained dentures. Dentures can look very natural depending on the quality and the arrangement of the teeth. 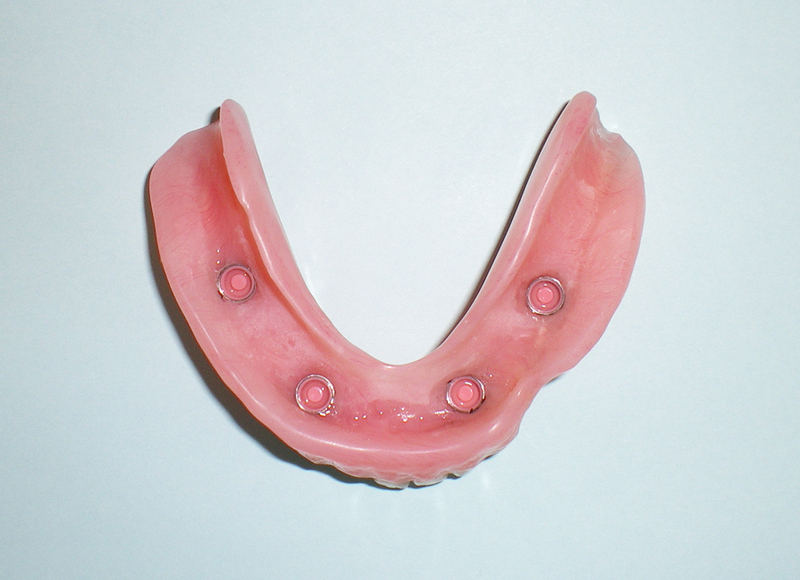 Removable partial dentures are for patients who still have some healthy teeth remaining. Replacing missing teeth will benefit your appearance, health and your chewing and speaking abilities. 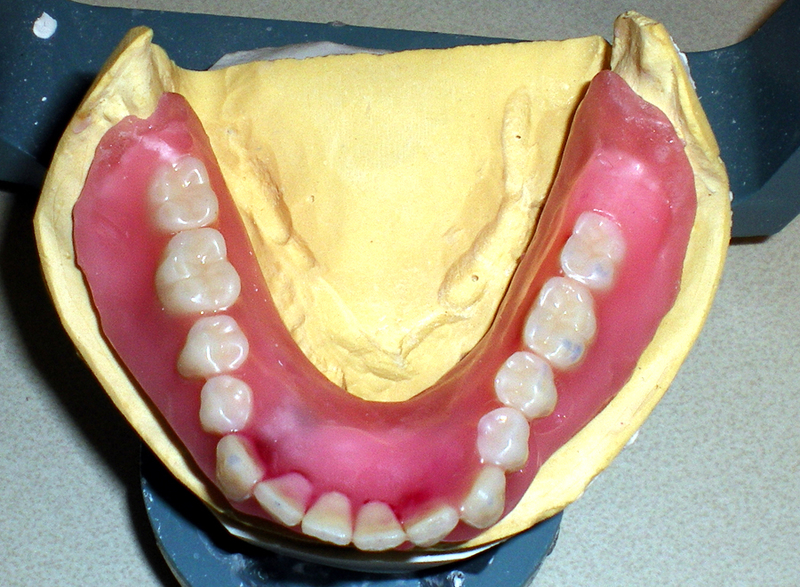 Dentures are fabricated from porcelain or acrylic teeth mounted onto pink acrylic to form the base or gums. The normal construction of the dentures takes 4 visits (about 3 weeks) which would consist of impressions, a bite try in, and the finished product. Construction of dentures, in Dr. Sebastian’s opinion, is a dying art. Today’s fast paced society causes some dentists to not take the time for a proper impression which leaves too much responsibility to poorly trained commercial laboratories. Dr. Sebastian’s has been working with the same Certified Laboratory technician for close to 20 years. Our denture labratory is located locally in Riverside County. Put Dr.Sebastian’s denture expertise to work for you by calling his Huntington Beach dental office at (714) 375-0959. It is important to take care of your dentures. Dentures alone do not cause bad breath. Proper cleaning involves removal of denture and brushing daily. There are also optional soaking solutions that can be used. Getting used to your new dentures: It may take weeks until your mouth muscles are used to holding your dentures in place. They may rub against your gums and cause sore spots. If this happens you will need to schedule an appointment with your doctor for an adjustment. Your speech may also be affected. Practicing your numbers and speaking regularly will help your cheeks and gums become familiar to them. Patients who try to do their own repairs and adjustments make their dentures worse. A reline, done by the doctor, captures the changes in the topography of the mouth so the denture can be more stable and have normal retention. Other problems can be solved in the office with small and simple adjustments. Replacement dentures are paid for by your insurance every 5 years. If you need an immediate denture ( see examples of immediate dentures in right hand column) an initial visit is scheduled for the purpose of measuring and molding a replacement tooth for the denture. Then it takes about 4 weeks for the new tooth to be built up so that it fits your smile exactly. Once the new tooth is completed the extraction of the old tooth or tooth root and the placement of your new immediate denture occurs in the space of one visit. It’s pre-op to post-op in one day! If Dr. Sebastian can help you with an immediate denture feel free to contact either our Huntington Beach dentist’s office at 714-375-0959. If you need an immediate denture (see examples of implant dentures at the top of the right hand column) an initial visit is scheduled for the purpose of creating an exact mold of your mouth for precise fitting of the denture. If Dr. Sebastian can help you with an implant denture feel free to contact either our Huntington Beach dentist’s office at 714-375-0959. A precise mold is taken of the mouth in order to accurately fit the implant denture set, in this case all of the lower teeth. 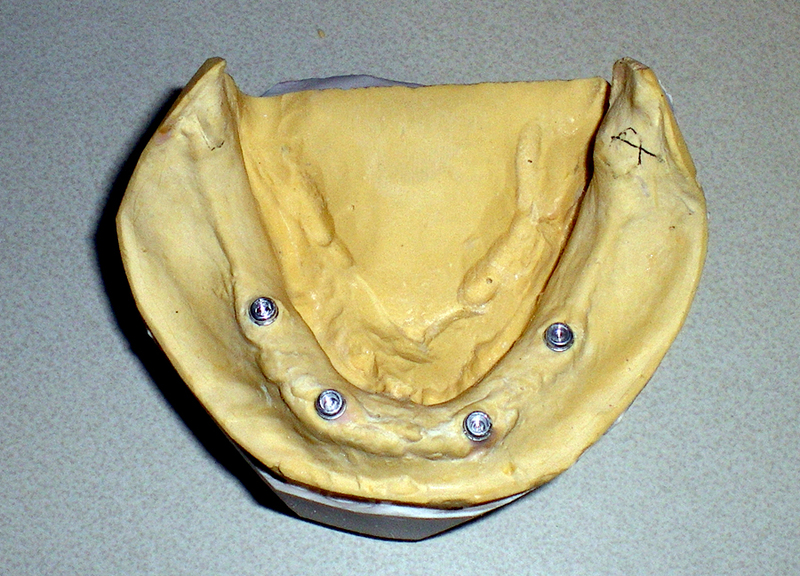 the lower teeth dentures securely fastened in place on the mold of patients mouth. Immediate Dentures – extraction of bad tooth and replacement happen in the same day! Immediate Dentures do require an initial visit so that the replacement tooth can be measured and sculpted.